Happy Memorial Day! It's so hard to believe it's almost June! We only have seven days of school left before summer break and I am so excited to have a break but I'm also going to miss going into school every day. Luckily I'm keeping the library open one day a week so hopefully students will come in and utilize the library. Words are powerful and the more words you know, the more you can take ownership of your own thoughts and feelings. I am so delighted that Peter Reynolds created a book that communicated this powerful concept. "The ocean gets its saltiness from the tears of misunderstood sharks." This book is too funny. I love The Word Collector, the beautiful idea of it! And Thanks for The Inexplicable Logic of My Life, I think it's a new one for me. 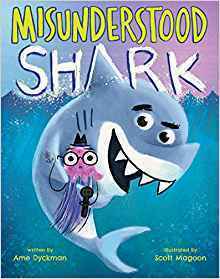 Loved, loved, loved Misunderstood Shark! It reminded me of Carnivores - have you read that one? 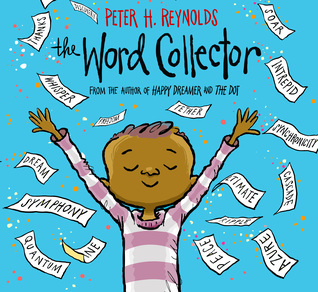 Oh I adored The Word Collector -- the words and the artwork were just lovely. 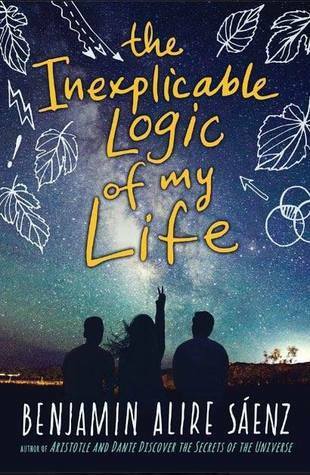 And I've just added The Inexplicable Logic of My Life. I missed that title last year, so I would love to get to it. Hope you enjoy it and thanks for all the book shares this week! I'm looking forward to reading The Word Collector. Our library has this on order plus another title by this name by Sonja Wimmer. Have you read it? Hope you enjoy this Benjamin Alire Saenz book as much as I did. He sure can write! I just put in a request from my library for Misunderstood Shark. I love everything from Ame Dyckman and can't wait to read this one. Have a great week! I enjoy Ame Dyckman so much. I will need to get Misunderstood Shark soon.